26.02.2015. Atatürk Olympic Stadium, Istanbul, Turkey. 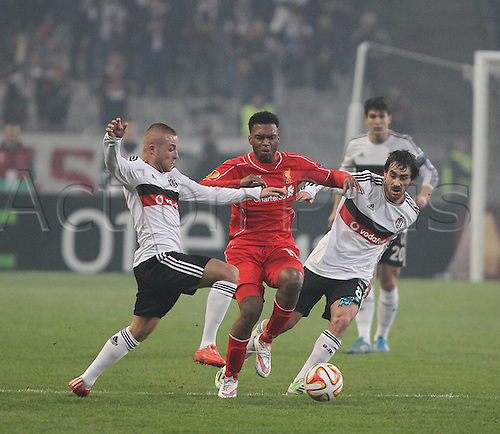 UEFA Europa League Round of 32 second leg match between Besiktas JK and Liverpool FC on February 26, 2015 in Istanbul, Turkey. Gokhan Tore (L) and Veli Kavlak (R) of Besiktas and Daniel Sturridge of Liverpool.